Maintains an environment of safety for patients, self and others. Performs activities of daily living for or with residents/patients. Provides transport for residents/patients to designated areas within the facility. Changes bed linens, runs errands, direct visitors, and answers telephone. Takes and records temperature, blood pressure, pulse and respiration rates, and food and fluid intake and output, as directed. Completes specified Nursing Assistant tasks in a safe, efficient and timely manner. Provides for resident/patient safety, comfort and privacy when performing responsibilities. Assists in maintaining a safe and clean environment. Communicates pertinent resident/patient information to appropriate person(s). Completes annual Rehabilitation and Nursing Competencies. Completes 12 Hours of Inservice Education Annually. Answers call bells, alarms, or intercom system for any residents'/patients' needs. High school diploma or general education degree (GED). Completion of an accredited Nursing Assistant Training program and listing with the Nurse Aide Registry with the Department of Facility Services. Previous Nursing Assistant experience in this clinical specialty preferred. 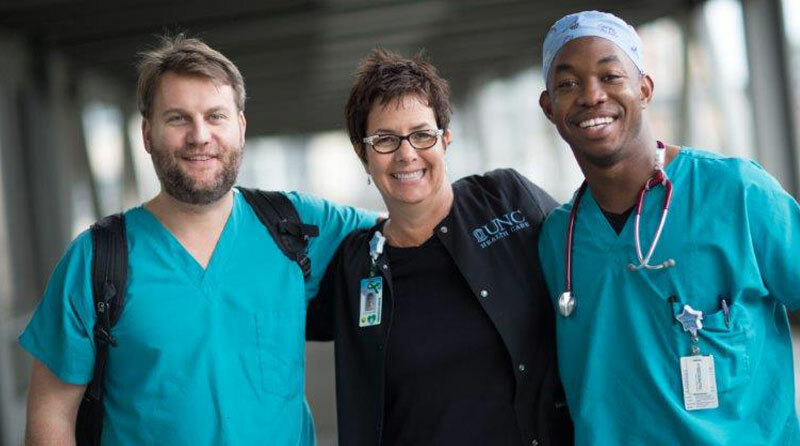 Current North Carolina Nurse Aide I (NAI) certification and BCLS required.